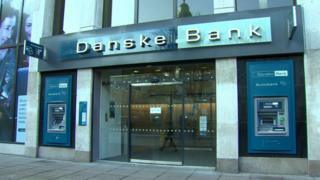 Stephen Matchett, Danske Bank's chief financial officer, said: "This is exciting news". "We also had great support from Invest NI. "The centre will be there for due diligence. How customers operate on their accounts is vital information that we need to be across. "Cyber crime is very important to us. The centre will have direct contact to the customer." President of Londonderry Chamber of Commerce, Jennifer McKeever said it was "very significant" that Derry had been chosen as the location of the centre. "The decision shows yet again that our city is an increasingly attractive destination for employers and that local stakeholders' commitment to promoting Derry as a great place to do business is paying off," she said.